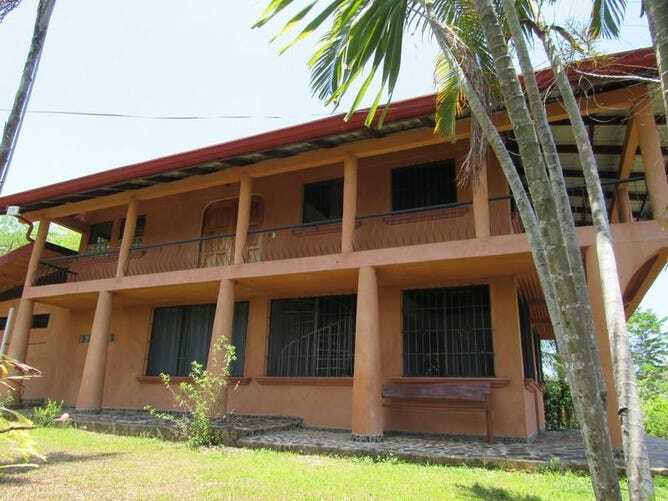 Details:- This 2 Story, 4 Bedroom Home is located in a small gated community in the town of Hatillo. The community touches the paved highway and then most of the road up to the house is also paved so the access is amazing. The community has a full time caretaker to watch over the properties and help with landscaping and maintanence. There is a total of 8 lots plus a large area of rolling pasture at the bottom of the developement. The house has amazing ocean views spanning from the waves breaking at Playa Guapil to the south all the way to the sunsets and Manuel Antonio to the north.